We Buy Gold – Get Cash for Gold in Bakersfield! 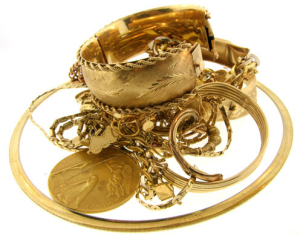 Do you have old or broken gold jewelry taking up space in your dresser or jewelry box? From broken chains and missing earrings, we’re Bakersfield jewelry professionals who will give you the most for your old, broken, or unused gold. Here at Roco’s Jewelry in Bakersfield, we pay the highest price in town and can get you cash in minutes. Bring your gold by one of our convenient locations today!